I love a bit of backcombing. The bigger the hair the better as far as I’m concerned. Of course this stems from the fact that I have fairly sad-looking, fine hair most of the time, so any added oomph is always welcome. But backcombing is a tricky business; get it right and you’ll look like a sixties glamour puss, get it wrong and you risk permanently damaging your locks. Which is why I’ve come to appreciate hair volumising sprays. They’re a great way of adding some height whether you actually backcomb your hair or not. They’re basically the hybrid love child of dry shampoo and texturising spray so they work well to add volume to the crown and body to the lengths should you need it. To get the ultimate in long lasting volume, section off your hair in to four or five manageable locks. Next use a large-headed toothbrush (trust me on this one) to push down the hair at the roots in a uniform motion. This will help to avoid getting a bird’s nest, knotted mess that’s impossible to brush out later. Next spritz over the backcombed area with backcombing spray to set. After smoothing over the outside with a brush, finish with a final mist of hairspray all over. When it comes to brushing out your backcombed ‘do, start at the bottom and work your way up to the crown. Be as gentle as possible to avoid breakage. If you haven’t tried a backcombing spray before, these four are a great place to start. When it comes to instant volume this spray really does deliver. What’s also great about it this product is that you can use it to freshen up a blowdry that’s a couple of days old. It has a pleasant fresh fragrance and isn’t sticky or too powdery. This product was my introduction to the world of volumising sprays, and whilst the name might seem to promise a lot, it doesn’t go overboard in the big hair department. We’re not talking skyscraper volume, but there’s definitely visible “plumpness” so well worth a try if you want volume without the drama. The phrase “big hair, don’t care” was created for this product. This spray adds serious volume and texture to otherwise fine and limp hair. It keeps hair volumised and smelling clean and fresh for days. An absolute must try. 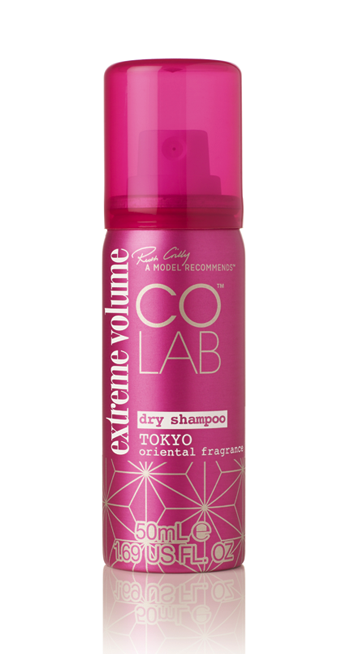 Part dry shampoo, part texturiser, this spray works well on both clean and dirty hair. It absorbs hair oil but also holds your hair in place without leaving any residue. Works brilliantly if you spray at the roots then flip your hair upside down and spray all over again. Do you use backcombing spray? Which is your favourite?